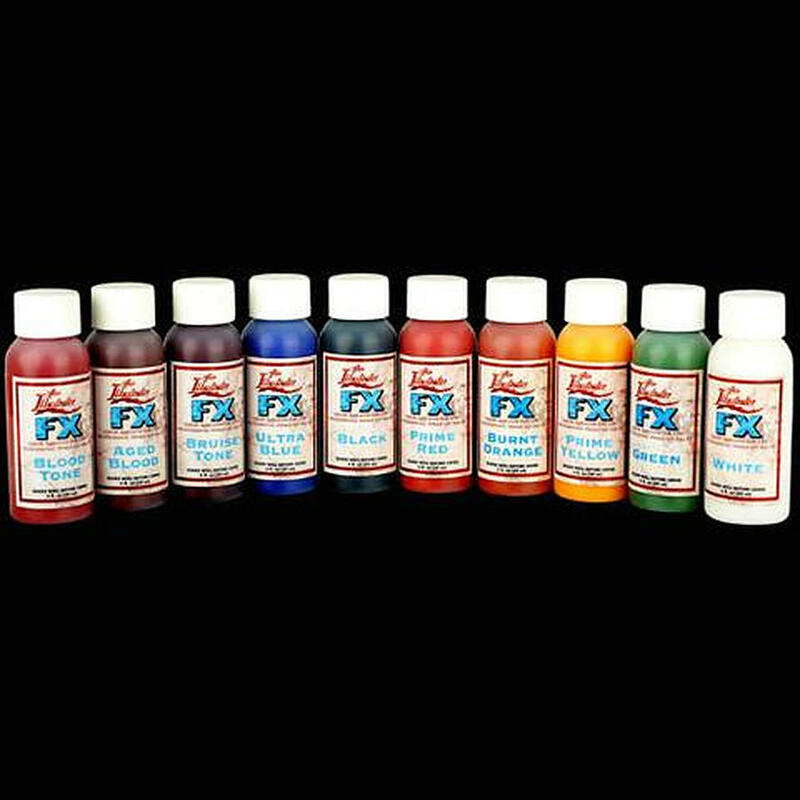 The FX Palette Liquids are designed for just about any injury or illness imaginable, they can simulate 1st, 2nd & 3rd degree burns, cuts, scrapes, scabs, and bruises. Blood Tone was created specifically to aid the artist in the struggle of feature film continuity and syrup based bloods. It is a realistic natural blood colour. Conventional bloods will wear or flake away after your actor has left the chair, but with a stand alone application of Blood Tone plus a topical application of KY Jelly, your blood work will look good all day without rubbing off or staining the actors costume. 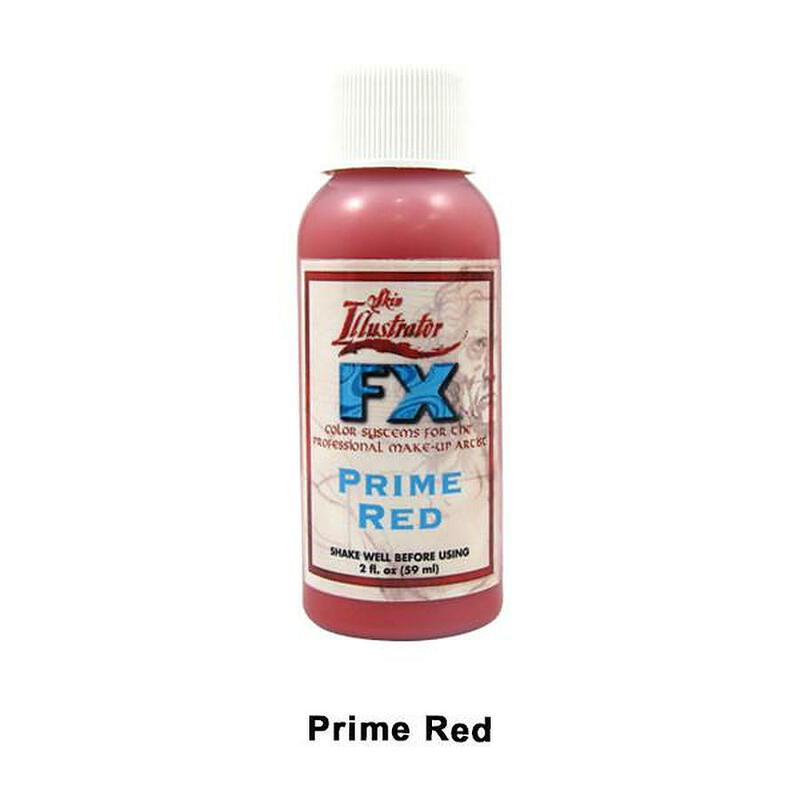 When working with the Blood Tone, a thin application of KY provides a nice sheen, while a large dollop gives the appearance of dripping blood. The durability of the Blood Tone color allows you the freedom to place your blood in the morning, allow it to dry, and then instantly freshen it to camera-ready quality whenever your actor is actually called to set – even if it’s hours later. Ultra Blue can be added to alter it to a deeper, more theatrical colour blood. Mixing certain colours will not create similar tones, already present in the palette. Mixing the Yellow and the Blue will produce a different green than the Green that is in the palette. Burnt Orange provides a rust tone. Aged Blood is a mid-ground aged blood which is not too blue or purple. By taking the Aged Blood and adding it to any other colour in the palette, you will get a whole new range of colour.